So your little one has a fever of 100.1, and looks fine except he’s got a little chill. 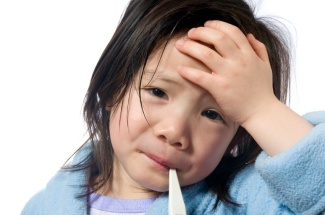 Do you give them Tylenol (Acetaminophen) or Motrin (Ibuprofen) to Lower the fever? Some researchers are now saying leave the medicine in the cabinet and wait it out. When I was a teenager, the slightest rise in temperature would cause my mom to run to her medicine chest and whip out the Acetaminophen (or Aspirin, which we now know causes Reye Syndrome in children). She did it because that was the “new thing” to make their children comfortable. That was a big change from when we were little kids. When I was really little, Grandpa told us “feed a cold, starve a fever”, but mom thought that was just an old wives tale. Now we’re learning that our grandparents were onto something… a raised temperature can be beneficial, because it can potentially kill the invading bacteria or virus. A fever can also help to keep viruses or bacteria from replicating, which means that your body can get rid of it faster. If the fever gets to 101 or above, I give just enough Acetaminophen or Ibuprofen to lower the temperature slightly. If there are fever spikes, I sometimes alternate between 1/2 doses of Acetaminophen and Ibuprofen every 2 hours to try to control the spikes better. If there are any other unusual symptoms, like febrile seizures, rashes or flu symptoms, I call the doctor immediately. Remember, you are your child’s advocate. You need to take note of any symptoms that he or she has, and tell the doctor immediately when something is wrong. This is in no way medical advice. These are the guidelines that I follow for my children, and has worked for us for years. For more information, you might try articles on the NaturalNews.com website. Medieval Times New Year’s Extravaganza! So you’re looking for something awesome to do on New Year’s Eve with your family? You could plant yourselves on the couch and watch the same old shows. 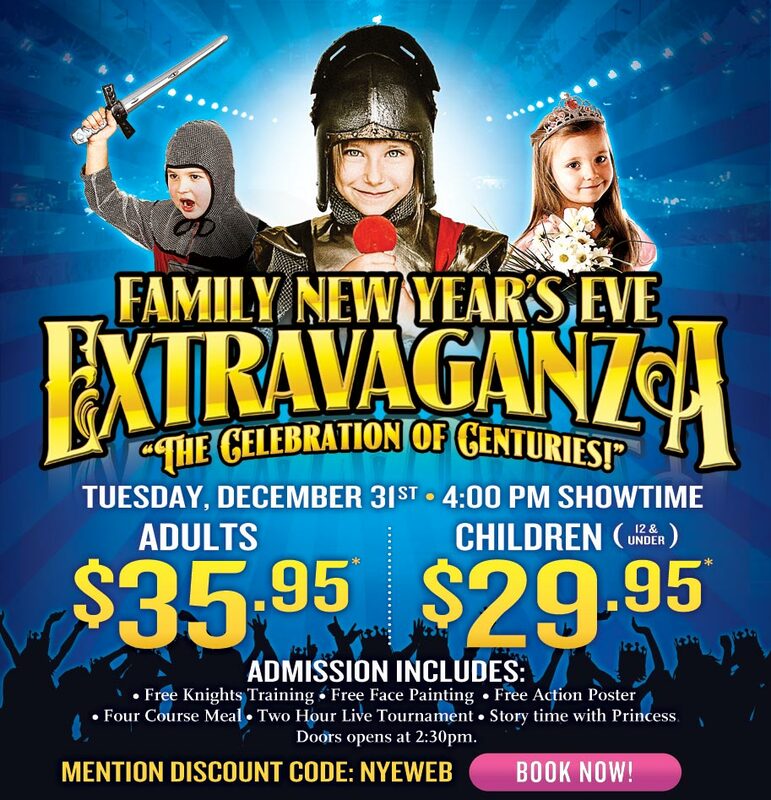 OR, you can join the Medieval Times cast for their Family New Year’s Eve Extravaganza!!! For a special price of $35.95 for adults and $29.95 for kids, you get a 4 course meal and live tournament. BUT THAT’S NOT ALL! You and your kids get Knight’s Training, Story Time with Princess, face painting and an action poster all for FREE. Just mention discount code NYEWEB when you call, or book online here –> Book Now! I don’t know about you, but we’re rounding up the kids and going to Medieval Times for the best New Year’s celebration ever! We’d love it if you joined in for this amazing celebration! If you see us, please make sure you stop us to say Hello! My family and I had the pleasure of visiting the one of the flagship Genghis Grill locations recently, and what a pleasant surprise! Genghis has launched an exclusive rebrand at select locations, which includes chef-designed creations that adds to the Fresh Market Bar experience that we all know and love. One of the keys to the rebrand is the addition of 4 new “Grill Master Creations” to the menu. With these new additions, there is truly something for everyone. For some people like my dad, building his own creation is a daunting task. And then there are those of us that love to build our own bowl most of the time, but once in a while like to just choose something off the menu. And these new creations fit the bill quite nicely! My husband and I took 2 of our sons with us to the Bryant Irvin location in Fort Worth after a shopping trip. I chose the Mongolian Steak Grill Master Creation from the menu, and then proceeded to help one of our younger children create his bowl at the food bar. What a relief! I could concentrate on helping him, because mine was being created for me. I must say that the creation I chose was absolutely delicious! Another thing I noticed while we were eating was that the decor was upgraded as well. It has a fresh new contemporary feel, with gorgeous new tiling, stainless steel accents and dark wood. These additions, as well as the menu additions, made us feel like we were in a completely new restaurant. How fun! We enjoyed the new experience and we will definitely go back. I can’t wait until the new rebrand is rolled out to the rest of the DFW locations! Genghis Grill, the largest build-your-own stir-fry in America, has officially transitioned into a new era. The 109-unit chain is currently launching an exclusive rebrand in select locations in Fort Worth Texas. Genghis Grill’s refresh focuses on adding new chef-crafted menu options, elevating the Fresh Market Bar experience for the customer, updating the overall interior atmosphere and reviving the lively culture within the brand. Customers can see the new conquest take place in Fort Worth at our Bryant Irvin and Lake Worth locations. Continuous expansion of the new rebrand will conquer the Fort Worth, TX market. Other rollouts of the new look will hit select markets: Washington, D.C. and Phoenix, Ariz. later this fall. 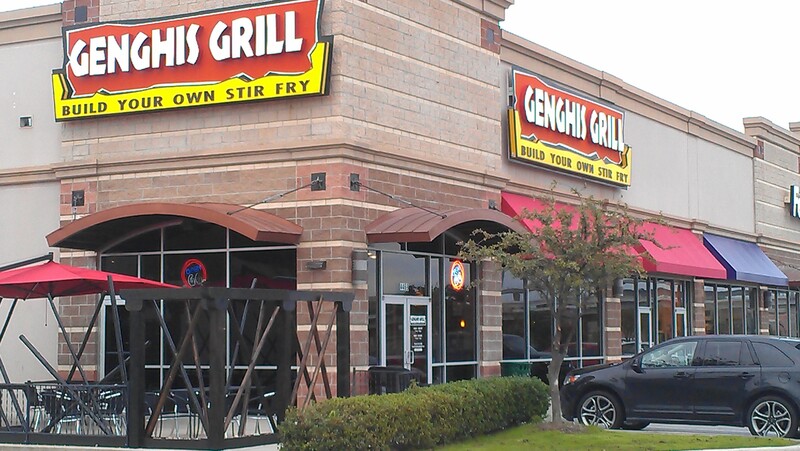 Genghis Grill, the premier build-your-own stir-fry chain in the United States, is well known for its fresh, hot and healthy food, and for its fun style of service. Their Fresh Market Bar features an array of more than 80 delicious, fresh ingredients from which guests can “build your own bowl.” They then hand their bowl creation to grill masters to cook to perfection on a sizzling, circular large grill. Currently, there are 109 Genghis Grill locations in 23 states nationwide. Disclaimer: If you’ve ever read any of my blog posts before, you’d know that I only write about things I truly believe in and everything I post is honest and truthful. So you’ve decided to do an internet search for insurance, but don’t know how to make sure you’re not getting taken? I recently tried the same thing, and figured I’d pass on some of the things I learned. Before entering any sensitive information on a website, make sure ou search for reviews for that particular site to make sure they’re legitimate. Better yet, use sites that don’t require contact info because they don’t need it to give you quotes on home, life or auto insurance. Make sure you gather all of the information you’ll need before starting. I was missing a few things, so starting looking through my files to get them. Then I was distracted by a phone call and I didn’t get back to the computer for a while. (I know you’ve had that happen to you too lol) Fortunately, the site I was on didn’t time out during the 15 minutes I was away from the computer, but you might not be so lucky. It’s important to enter all of the information that you know to be true and correct. How awful would it be to have your home, life or car premium raised because you didn’t tell the truth on your application. I’ve heard of it happening, so it could happen to anyone. 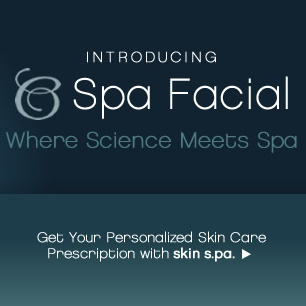 Use a site that gets quotes from many different companies at the same time. It will save you time and effort, why not let somebody else do the work? Make sure that the insurance company you decide on is stable. Each state has an agency to regulate insurance companies. Go to your state’s insurance agency website, and search for company ratings. Hopefully, theses tips will help you find a stable insurance company with low rates! Do your kids need an incentive other than “good grades get you into a good college”? Mine certainly do. Most kids don’t understand how good grades can eventually lead them to the career of their dreams, whether it be doctor, lawyer, or professional comedian. At least once a week I hear, “I don’t understand how this kind of math is going to help me”. Now you don’t have to explain it, here are ways for parents and teachers to give kids incentives that are funded by corporate sponsors. Tokens for Grades – All kids love Chuck E. Cheese right? Have your child bring in their most recent report card and they will receive FREE tokens for good grades with maximum of 15 tokens per child per report card. There are also links to reward calendars and other cool stuff on the website. 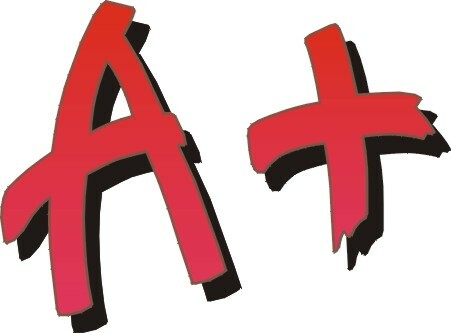 Pizza Hut 3 A’s Program – Elementary and Middle Schoolers can receive a FREE personal pan pizza and small soft drink when they get 3 A’s in the same marking period. Krispy Creme Good Grades Program – Receive one FREE Original Glazed Doughnut for each “A” (6 maximum). Brunswick Bowling Games for Grades – Receive one free game for each “A” at participating Brunswick Zone and Zone XL. Pizza Hut Book It! Program – In addition to a fantastic reading program for all ages, teachers receive certificates that can be given to kids when they’ve met specific goals in the classroom. Jason’s Deli JD Pickle Cards – The JD Pickle cards are redeemable for one FREE kids’ meal for students 12 and under. Chili’s Pepper Award – The Chili’s Pepper Pals award is redeemable for one FREE kids’ meal for students 12 and under. Joe’s Crab Shack Certificate of Achievement – These awards are designed to reward outstanding accomplishments with a free kids’ meal for students 12 and under. Chuck E. Cheese Student Rewards – Chuck E. Cheese has a printable Homework Reward Calendar as well as Reward Ribbons that can be turned in for FREE tokens. Baskin Robins Scouper Star Reward – Certificates include a detachable coupon for a free kids cone. They also carry coupons for bigger kids that are good for $2.00 off any item. Other restaurants that have programs based on local franchise participation: Chick-Fil-A, McDonald’s, Burger King, Pizza Patron, Sonic and Red Robin are all examples of franchises that might participate. Some require forms or requests to be faxed or emailed, you’ll have to contact the local franchise to see how their specific program works. Remember to contact your local restaurant to make sure that they are participating in the company’s good grades rewards programs. Many franchises have the option to “opt-out” off corporate programs, and you don’t want to disappoint your child after working so hard for good grades. Rewards for High School students can be a little more difficult since most restaurant rewards programs are geared towards Middle and Elementary School children. For students that are of driving age, most insurance companies give big discounts for students with a 3.0 or “B” average or higher. Some examples are: Geico, Farmers, Progressive & State Farm. 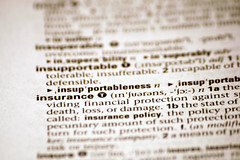 Check your specific insurance company to see if they offer discounts for good grades. A great idea for rewarding a child of any age is to let them choose an activity when they hit their academic goal. Ideas include letting them choose the restaurant that the family will dine at, or perhaps allowing them to invite a few friends to the movies, bowling, or for a sleepover. Get creative, and teach your kids that good grades can be rewarding now AND later! When my Zaggora Hot Pants showed up about 3 weeks ago, I wasn’t sure what to expect. I’ve heard about all sorts of products that you wear to lose inches, but I always wondered whether they really worked. I was excited to try Zaggora’s new Hot Pants, that promised to remove unwanted inches from waist and legs. I took them out of the package and immediately put them on, and off to Zumba I went. When I got to Zumba, I showed off my Hot Pants to everyone in the place. They can be worn alone, but I’m a little self-conscious so I wore them under my workout shorts. They come almost down to my knees, so you could still see a few inches and the Hot Pants logo from underneath my shorts. They sort of look like spandex shorts, so they didn’t look out of place at all. Everyone was excited to hear how they worked, so I’ll have to make sure to send everyone a link to this post when I’m done! I didn’t feel anything different about them when I put them on, but when I started working out…watch out! I could feel my legs and waist heating up the more I worked out. They gave me more support in doing squats and lunges, but a little resistance as well. When I was done working out, boy, were my legs tired., but I didn’t have any trouble finishing my regular workout. I assume that I got a better workout from the extra resistance and support from the Hot Pants. I’ve been using my Zaggora Hot Pants since right before Thanksgiving and I have to say that I’m pleasantly surprised! I have absolutely no will power and usually gain a lot of weight around the holidays, but not this year! I’m proud to say that I’m only one pound different than right before Thanksgiving, and I’ve been eating just as much as I normally do during the holidays! I attribute this to the addition of the Zaggora Hot Pants to my routine. I can’t wait until next week so I can get back to eating normally, I’m sure to slim down a few inches pretty quickly with the help of my Zaggora Hot Pants! If you would like to learn more about, or would like to get Hot in Hot Pants, you can go to: http://www.Zaggora.com . Disclaimer: I received a pair of Hot Pants from Zaggora to review as part of a promotion by MomBloggersClub. But if you’ve ever read any of my blog posts before, you’d know that I only write about things I truly believe in and everything I post is honest and truthful. In three simple steps anyone can upload a holiday photo, add Santa Claus and print it as proof… or share it via Facebook and Twitter. Last-minute shoppers can purchase Gift Cards and eGift Certificates for loved ones with children, making iCaughtSanta.com a great gift idea even if you don’t have kids yourself. For a limited time, you can get 50% off your very own iCaughtSanta order! Just enter code: SANTA50 at checkout.